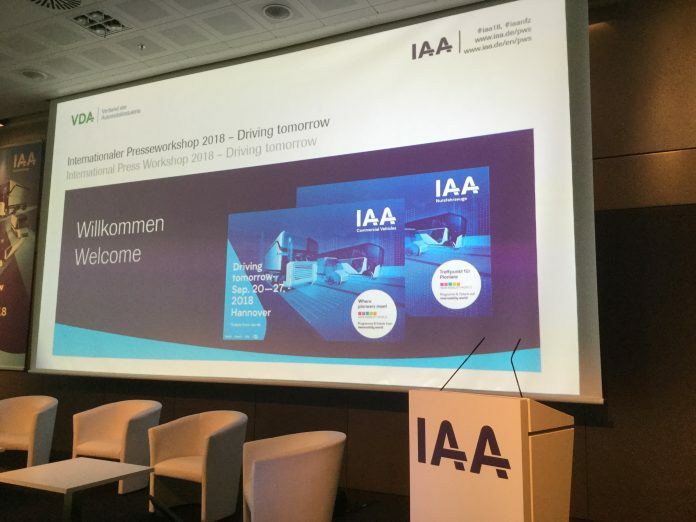 Further connectivity to enhance road safety and efficiency, autonomous driving and alternative powertrains are the main innovations to feature at the 67th IAA Commercial Vehicles Show, which will be held in Hannover from 20-27 September 2018. Event organizers, the German Association of the Automotive Industry (VDA), held an international press workshop in Frankfurt am Main, attracting high-level representatives of the commercial vehicle industry, and more than 120 international journalists from 27 countries. In addition, digitization can contribute to even better connection of the various transport modes within the transport and logistics chains: “This is necessary because we need the interplay of all types of transport in order to cope with the increasing volumes of freight,” Dr. Mattes explained. 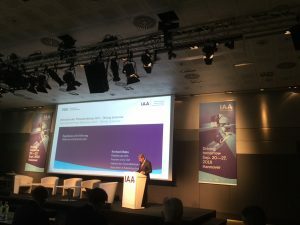 However, the VDA President took a critical view of the European Commission’s proposal for the first CO2Regulation for heavy-duty Commercial Vehicles: “The industry supports a realistic regulation in principle. However, the Commission’s draft is totally out of proportion.” He explained that the European Commission has proposed CO2reduction targets of 15 percent by 2025 and 30 percent by 2030. These targets are roughly double those that the industry considers very ambitious, but still feasible. “Furthermore, the penalties for missing the targets are exorbitantly high and almost arbitrary,” he emphasized.